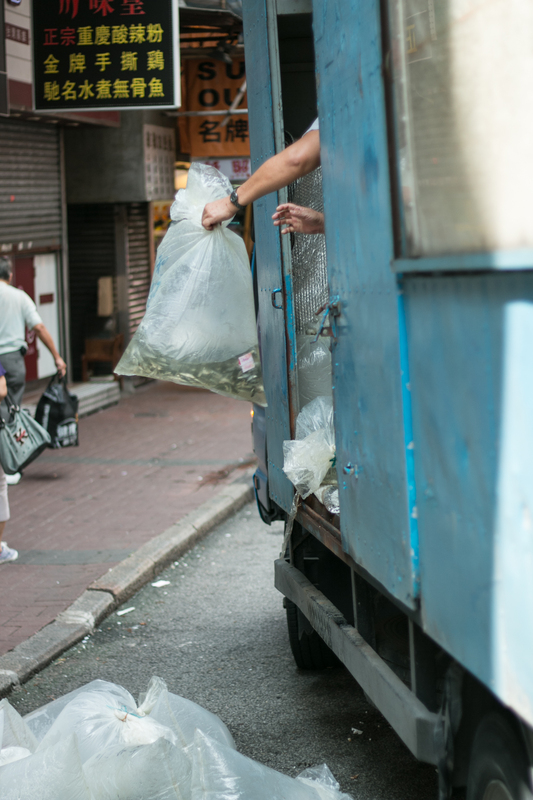 Hong Kong is a crazy place – land is co scarce, every inch is used a livable/useful space. When it comes to markets though, there are no goods out there that do not deserve a market to be named after. Lady goods? 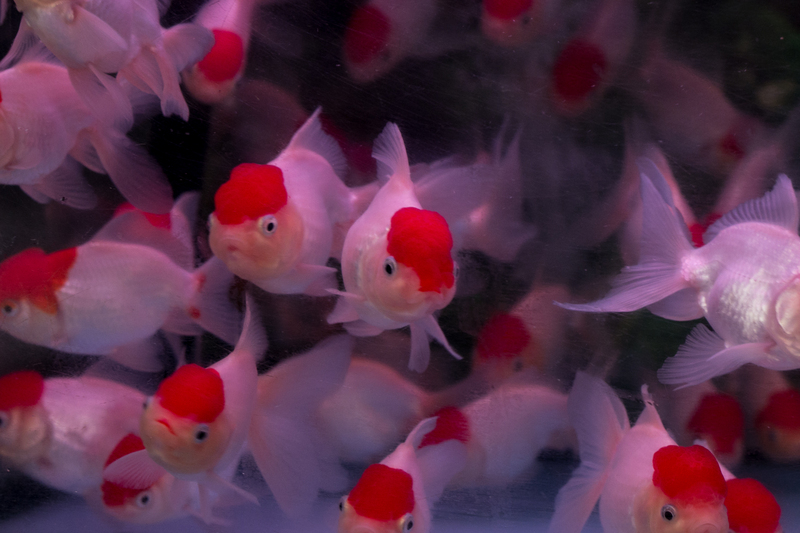 Gold Fish? Jade market? No problems! 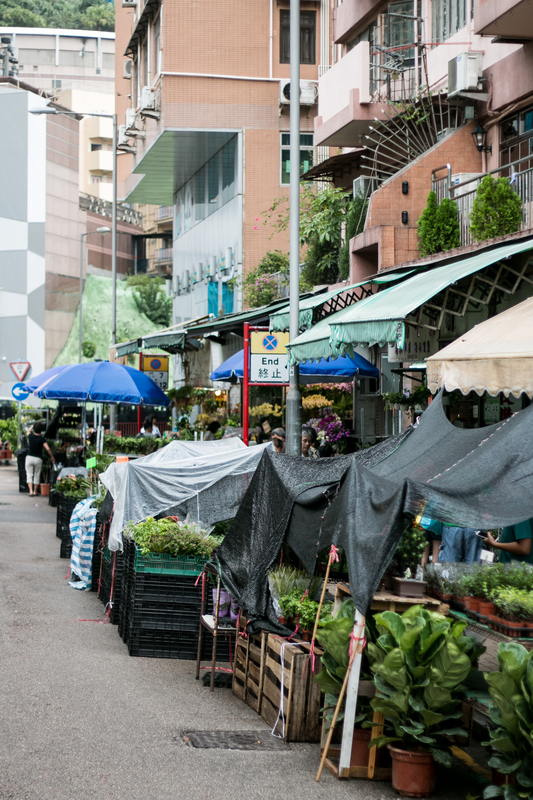 Let’s talk about the best markets in Hong Kong that are worth visiting when you are in town. I am currently crazy about all things green. Succulents, plans, terrariums, pot plants – I love them all. 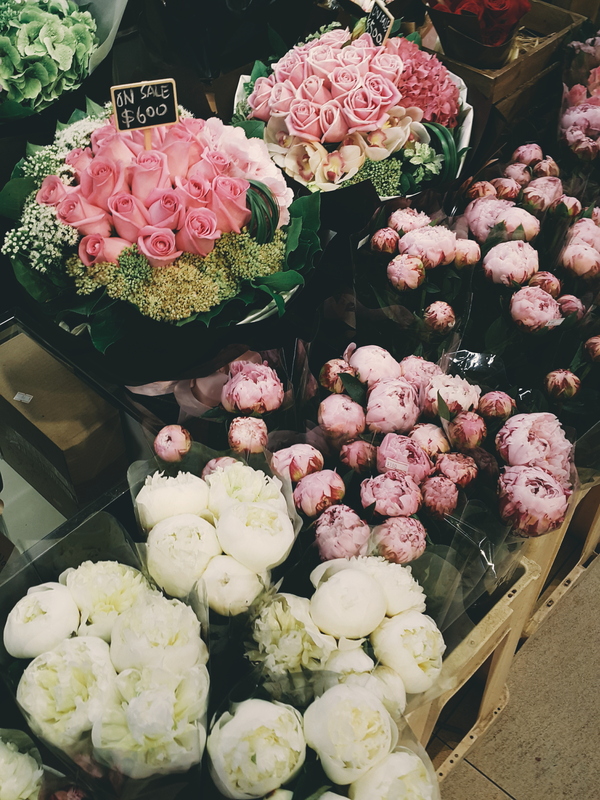 Technically Flower Market is just a block filled with flower shops to the brim. 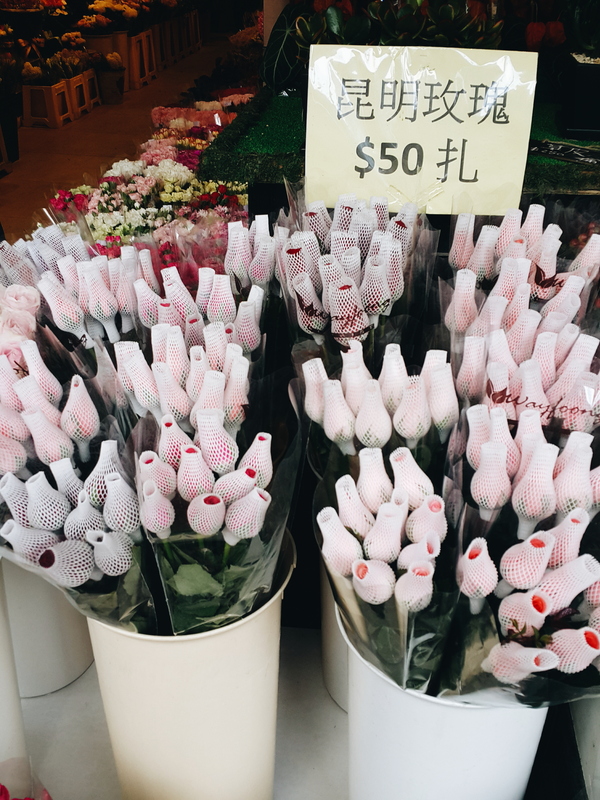 Peonies in the middle of humid Asian summer? No problems! Cactus and succulents of all shapes and sizes? You’ll find it here too. Most shop assistants speak English so asking about the products you are interested in is not a problem. 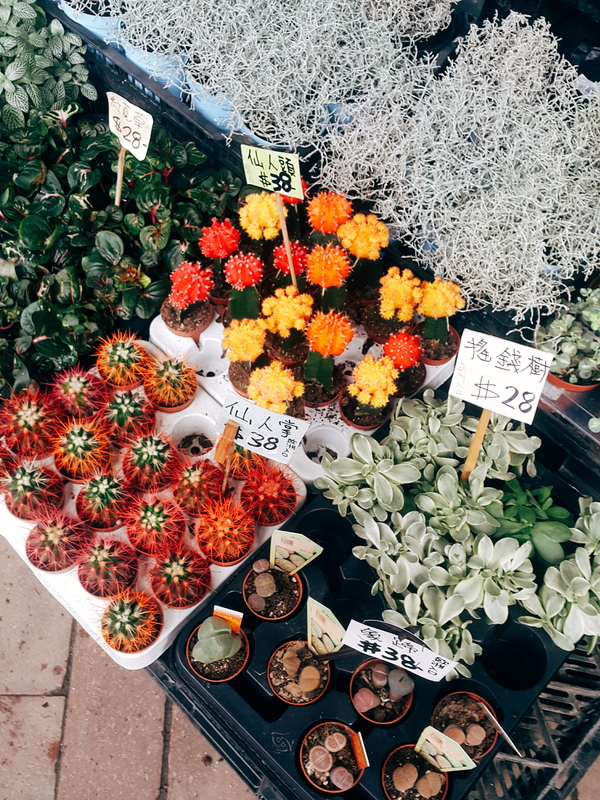 Unfortunately many shops have a strict no-photo policy so to experience the Flower Market is full, you do have to visit it in person. 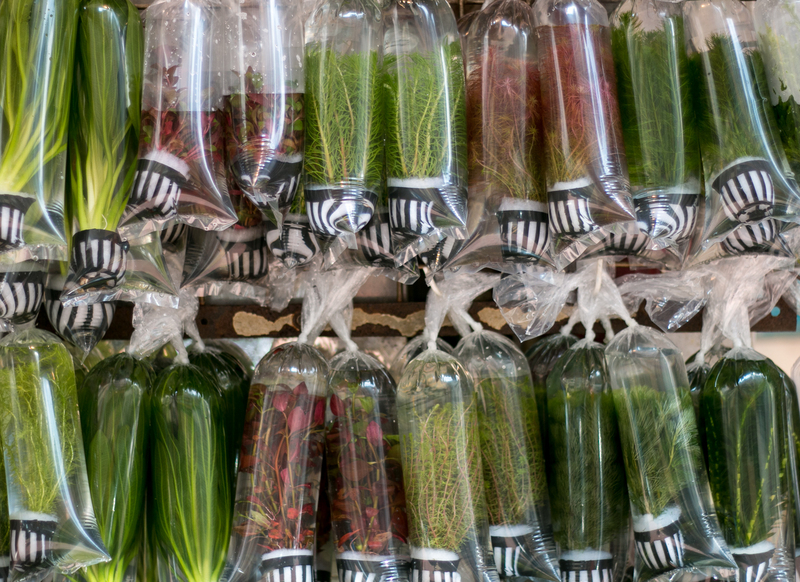 Opening hours for the Flower Market 9:30 – 19:30 Monday through Sunday, except for first day of Chinese New Year. Directions how to get there can be found here. Worth going just because it is so odd. 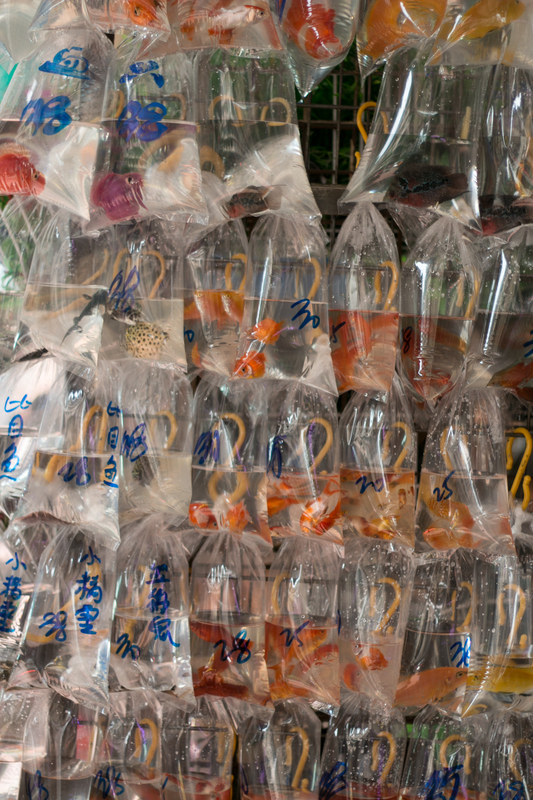 Tons of fish being sold in plastic bags filled with water. I spent a bit of time thinking about what happens to poor creatures when market sellers leave for the day, what do you think? Do they get a second chance in life? 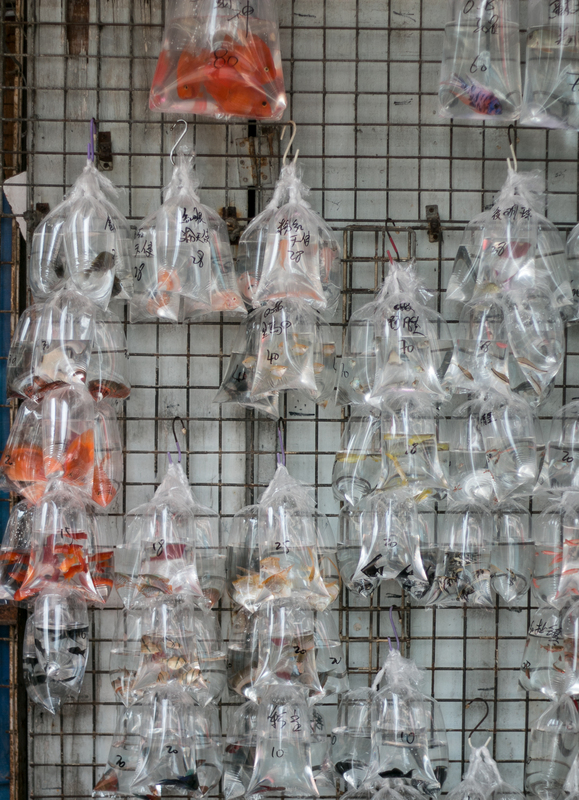 Opening hours for Goldfish Market – technically from 10am until 10pm, but most customers do not arrive until after lunch. For directions click here. 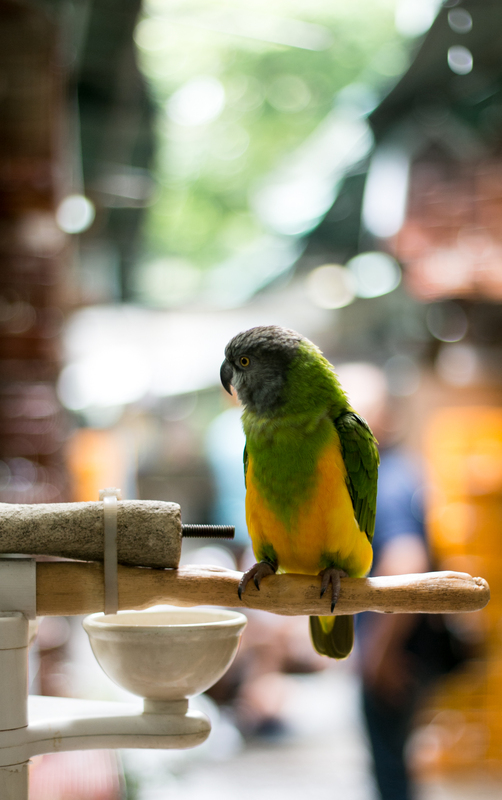 Located just around the corner from the flower market, bird market is another curious place to check out and in Hong Kong. 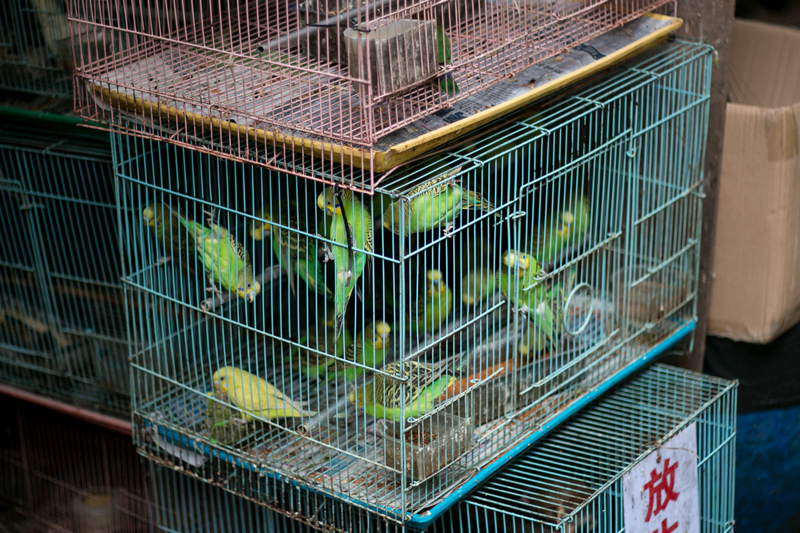 Set in a shape of a traditional Chinese garden, the park has dozens of stalls selling exotic birds, bird cages, water dishes and other bird-care paraphernalia. 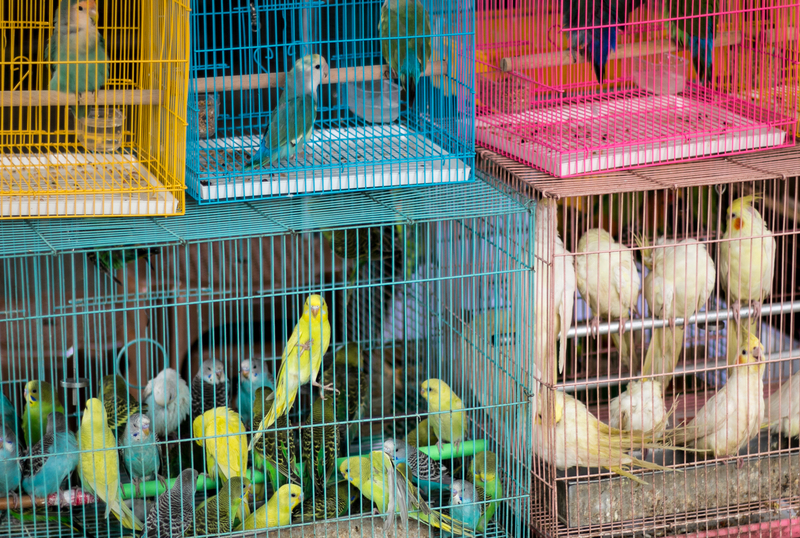 Whereas it is unlikely that you would want to buy a bird while you travel, the market is a place where you can witness a scene from traditional Hong Kong which is pretty fascinating.